BUY MULCH - SEND A KID TO CAMP! This fundraiser will help kids raise money for summer camp. Students will sell and install mulch for your yard. 100% of our profits go straight toward kids' camp funds. 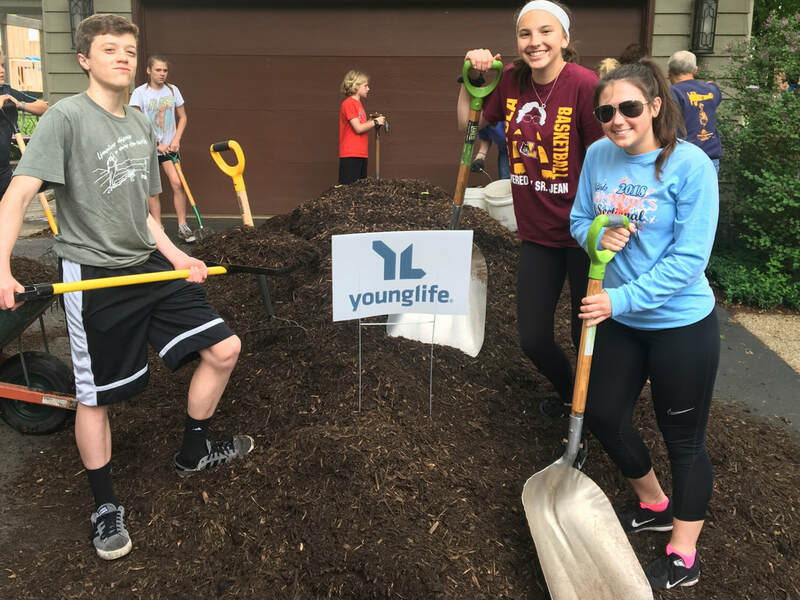 The Mulch is a good quality at a good price, PLUS you'll be helping local kids experience the best week of their life at camp! If mulching is in your plans this year, please help local kids while you beautify your yard. Our mulch is a natural brown double ground hardwood mulch. The minimum order is 4 cubic yards (landscapers suggest one yard of mulch per 100 square ft). We can deliver and install in Geneva, St. Charles, or Batavia. The mulch is provided by Mulch Inc. Like their Facebook page here. Deliveries will take place on Wednesday, Thursday, Friday, or Saturday based on the number of orders. Installations will be on Saturdays (or Sunday on a rare occasion). Please fill out the form below to place your order. We will contact you via email to confirm your order and delivery/installation date. If you have any questions, please contact us at the Young Life office at 630-262-3939, or dangriebel@ylchicago.com. Please pay via check made payable to "Young Life Kane County"